The sun is a star that provides life in our solar system. In the grand scheme of the universe, it's very smallbut for our planet, it's everything. Freely emitting vibrant rays, the sun both energizes and heals. Receive the warmth of light into your life. You have the power to ignite the world. 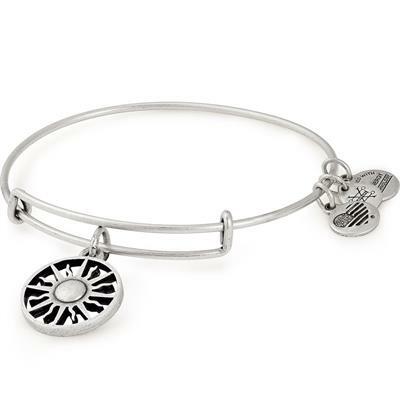 PACKAGING: This Alex and Ani bangle comes packaged in a black organza pouch with its meaning card. Please note that only bangles over the price of £30 will be packaged in an Alex and Ani box.